Grace Kelly’s style is so timeless that even her dresses have their own wiki page! The inspiration behind many films, including the upcoming biopic starring Nicole Kidman, this fifties fashion icon remains relevant in an industry that is notoriously fast-paced. So what is it about the late Princess of Monaco that makes us want to flip nostalgically through our vintage vogue collection (the one we plan on starting)? 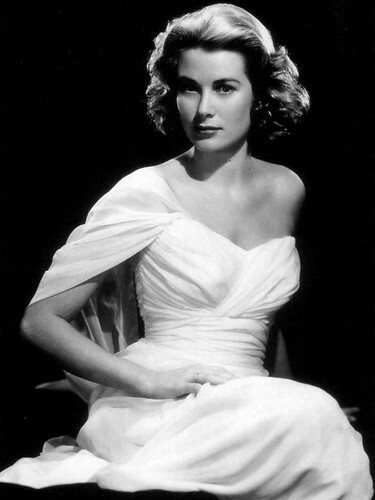 In a moving tribute to the beautiful blonde starlet, Vanity Fair’s Contributor Editor wrote that Grace Kelly possessed the “intertwined qualities of an icon: white-gloved ingénue, elegant goddess, passionate- and frankly sexual- romantic.” Undeniably, it was those blue eyes and red lips contained in skin like poured cream that became the propeller of one of Hollywood’s brightest stars. It was Don Richardson, one of Grace Kelly’s lovers and the author of her biography Grace, who made the famous quote about Kelly’s relationship with the camera. As Richardson accurately put it, “the camera did more than love her. It was insane about her.” And it seems that the camera has never forgotten its fixation with Grace Kelly, continuing to film memoirs of the actress’ life. With Grace Kelly making a comeback to the silverscreen, it is the perfect time to introduce her style into your wardrobe. And let’s face it, to try and mimic the look of this woman is a no-brainer. Who doesn’t want to look like the star who managed to win the eternal affection of the fashion industry? Elegant lace: Lace dresses were a wardrobe staple of Grace Kelly’s, and she often wore it out on the red carpet. Considered her “high society look,” the use of this delicate material in some of her most iconic outfits showcases the exquisite detailing that went into Kelly’s clothes – and her appreciation of designs for their quality, not their cost. Ladylike pearls: Accessorise with classic pearls like Grace Kelly. One of her signature looks, Kelly was often photographed in large cultured pearl necklaces (choker style) and multi-strand pearl bracelets. Fad Hats: We often forget that Grace Kelly had a flamboyant edge to her style. Not the conservative dresser that many have made her out to be, the blonde starlet often caused a stir with her choice of millinery – with some Monegasque elites even whispering that Kelly’s hats were too ostentatious for the palace. A style icon, Hollywood princess and beloved of all who laid eyes on her, Grace Kelly remains a hot topic of debate and inspiration amongst today’s influencers and their followers. Celebrate her “forever look” in your own wardrobe to channel the elegance of a woman who never left her style behind. Bella Gray is a fashion blogger who loves to write about the fashion scene. From a wool scarf to the latest runway collection, Gray is the perfect go-to-gal for all your style trends and gossip.